TLC Kennel is dedicated to providing Tender, Loving, Care to those pet companions entrusted to our keeping. 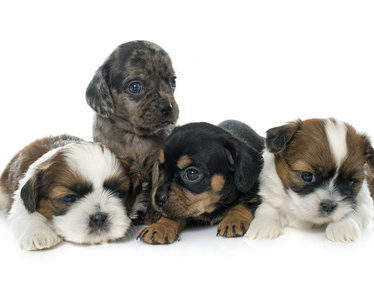 We hope that having you as a satisfied customer will help provide a happy home for each of our puppies. No matter what puppy you choose to enrich your life, we wish you the best. Years ago we relocated our young family from the Front Range, to the rolling plains of eastern Colorado. We wanted to provide a country lifestyle for our children, as well as pursue our love and interest in animals. 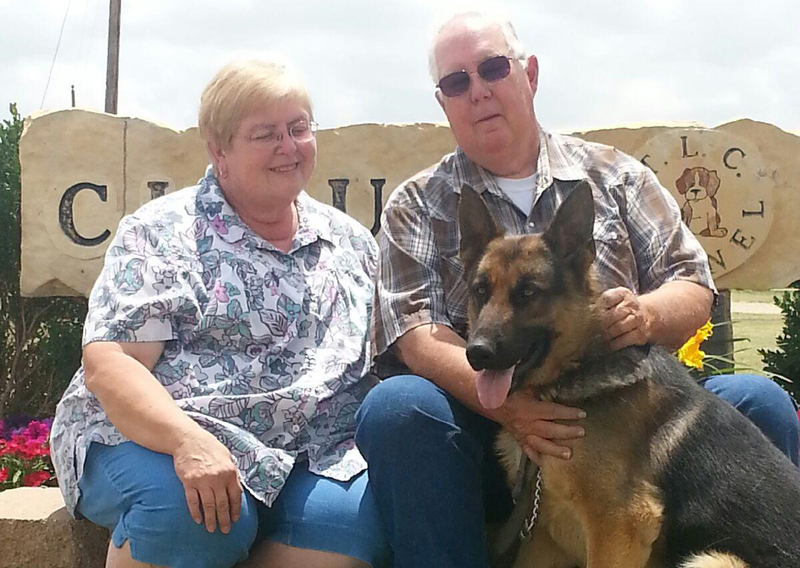 Archie and Teresa Cloud (and Buddy) at TLC Kennel, their home on the range. Family owned and operated, TLC Kennel is based in eastern Colorado. Established in 1983, health and breeding programs, along with state of the art facilities, have all combined to help achieve a commitment to excellence. Raised with Tender Loving Care, all puppies at TLC Kennel come with current immunizations and a six month health guarantee. Let years of experience be your guide in selecting your next K-9 companion. The puppies had their first plane ride and did so well. They were in a carrier at our feet and slept most of the way to Calif and home again. They certainly loved hotel living and had the run of the suite. They also liked room service and all the admiring attention they got. 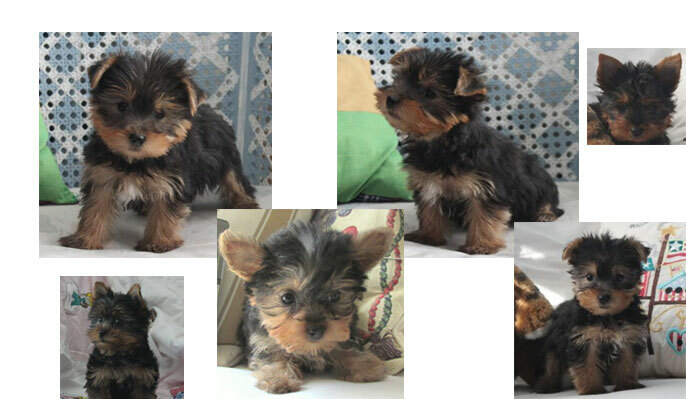 They are growing by leaps and bounds and very smart and good puppies. We love them more each day. They are a darling pair and we have never never regreted choosing to get two of them. They are great friends and play all the time. Babydoll has overcome her shyness, but she is still the most loving and affectionate. Myron is about to have his name changed to Tas, for the Tasmanian Devil. He is by far the more aggressive and outgoing. Thanks again for selling us the little chihuahua you wanted to keep. She is so good. Penny said she is really doing good house breaking here. I think she is really the cutest puppy I have ever seen. We all love her so much. We took a picture of Penny right after we gave her to her. Penny named her Daisy. She is eating real good and is quite active. I just wanted to let you know how pleased we are with ‘Misty.’ She has be in perfect health and gorgous. She weighs only 8 pounds – which thrills me. Been the same for 3 months, so I’m sure she’s full grown. Very smart. If you ever need a reference, I’d be happy to give you one. Just wanted to drop you a note and let you know how pleased we are with our new addition to our family. Hunter has been doing so well and is up to 5 1/2 lbs. He is more than we expected and everyone loves him. For centuries, dogs have been part of the everyday life of people all over the world. Just how man and his “best friend” came to accept each other took a long time and we shall never know exactly why or how it evolved. Undoubtedly the dog has changed considerable since the Stone Age days of the wolf-dog. Before today’s numerous breeds came to be recognized, people in different parts of the world created dogs suitable for their own particular environment and conditions. This process took millions of years with variations happening all the time. 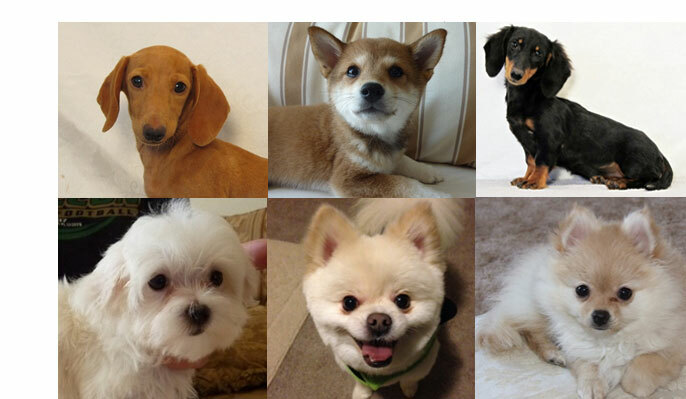 Thus, by trial and error, a variety of dogs were produced. Fortunately for all of us, there are now more than enough breeds in existence to make all of our dreams come true in selecting what is essentially another family member. 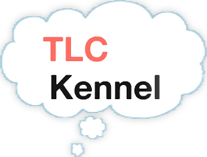 We at TLC Kennel are proud to offer a wide selection of breeds that are often sought by today’s thoughtful pet owner. We take great care to select only healthy sound representatives of each breed for our breeding program as we strive to play our part as good stewards in the ever changing history of dogs, our “best friends”.